The range of this sensibility is communicated through several case studies, from First World War memorials in Orange, Massachusetts to the thirteen-hour Civil War photomontage marathon organized by Ken Burns and financed by a variety of public and corporate sponsors. In his introduction, Glassberg references Wallace Stegner and Eric Hobsbawm. A Stegner quote fortifies Glassberg’s argument, as “No place is a place until the things that have happened in it are remembered in history, ballads, yarns, legends, or monuments.” (Glassberg, 2001: 19) In the case of the recently deceased Hobsbawm, Glassberg references his 1983 co-authored work, The Invention of Tradition. In short, this work explores how one generation after another envisioned themselves as having a kind of timeless connection with the customs of the past. Glassberg also aptly references William Faulkner, Toni Morison, and Louise Erdrich, individuals who through fiction and prose develop an identity by remembering land- and city-scapes from earlier years. This developed identity means that when we think of, say, Erdrich, we immediately associate her with her descriptions of the Red River, or of Wahpeton, North Dakota, or with her sisters, or with her bookstore in Minneapolis, Minnesota. It is similar with Stegner, as he is inextricably bound to East End, Saskatchewan, and the same goes for Walter Webb, N. Scott Momaday, Ernest Staples Osgood, Paul Sharp, Gilbert Fite, Willa Cather, and Glenda Riley, all of whom worked toward creating a sense of Great Plains history and culture. David Glassberg, “Sense of History: The Place of the Past in American Life” (University of Massachusetts Press, 2001). 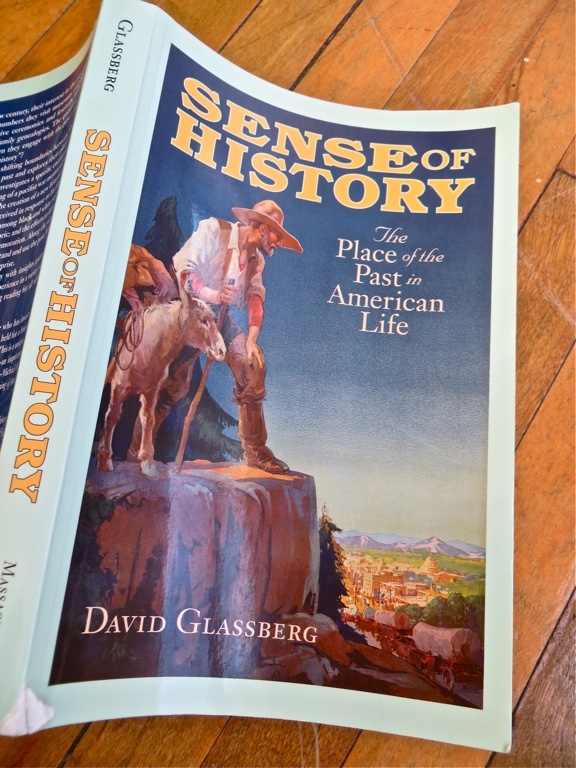 To think of Glassberg’s work in a world historical context requires that we think of each location in space and time as having its own sense of history. This indeed complicates our understanding of the past, but this complexity is nothing new. Historians, for example, that boasted the virtues and lessons of Western Civilization had one understanding of, say, Herodotus and his world, and this was much different than the understanding that Herodotus had of himself and his surroundings. This is also similar of a historian from China writing about the Mongolian hordes, or the Mongolians themselves writing about a conquest of the EurAsian steppe, from Beijing to Baghdad and to the edges of Poland and eastern Europe. In large part historians, or Public Historians, absorb methodologies set down by R.G. Collingwood in the 1930s and 1940s, at least before he collapsed and died from a brain aneurism (arguably due to his synapse firing on protracted overdrive for the duration of his life). Collingwood called on historians to first develop a philosophy toward history. That philosophy was defined as a professional ability to understand the way in which people understand or understood their world. This entry was posted on Wednesday, March 13th, 2013 at 11:18 am	and tagged with David Glassberg, Great Plains History, Louise Erdrich, Public History, Wallace Stegner, World History and posted in Uncategorized. You can follow any responses to this entry through the RSS 2.0 feed.